Earlier this week trademarks for new titles in the Atelier and God Eater franchises were discovered in Japan. The Atelier trademarks were for “Atelier Sophia” and “The Alchemist of the Mysterious Book”, while a God Eater trademark was filed for “God Eater Resurrection.” The trademarks were filed in late May but were made public this week. 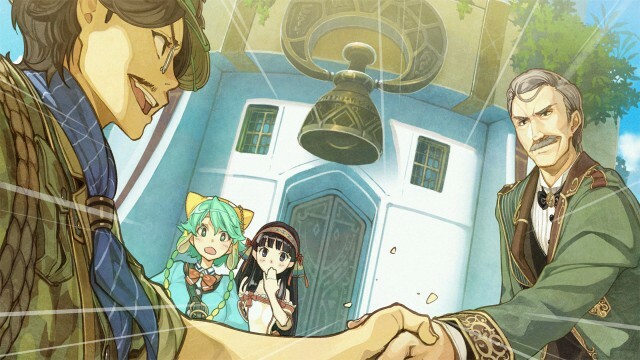 “Atelier Sophia” and “The Alchemist of the Mysterious Book” probably combine to form the name of the next mainline title, so it will probably be titled “Atelier Sophia: The Alchemist of the Mysterious Book.” It is a naming pattern that is in line with the whole of the Atelier franchise. Atelier in the West enjoys a mostly healthy localized presence; four “Plus” remakes for the PlayStation Vita have been localized (Escha & Logy is currently absent, and Australia didn’t get Ayesha Plus,) and all of the games in the recent Arland and Dusk trilogies on PlayStation 3 have been localized. With Koei-Tecmo’s good track record of localization, odds are this one will be localized too. Perhaps the bigger question is: will this game be cross-gen, or will it be developed for one console (and if so, which one?) In any case, we’ve got the name of the main protagonist revealed to us! “God Eater Resurrection” is harder to peg. It’s not immediately clear if this is going to be something like a compilation, a spinoff, or a sequel instead, another numbered entry into the God Eater franchise. Looking at the release windows for past God Eater games suggests that Resurrection being the third game is a possibility. After having the expanded release of the first God Eater (localized as “Gods Eater Burst“) released in North America and Europe on PlayStation Portable, God Eater has been absent from the West. A trademark for “Rage Burst” was discovered in Europe a few months ago, and Rage Burst is the subtitle for the expanded release of God Eater 2. As for Japan, the God Eater franchise is a success story as a new IP for Bandai Namco Entertainment, recently celebrating its fifth anniversary and with an anime adaptation airing next month. Regarding platforms, neither the PlayStation 4 nor the PlayStation Vita are particularly strong in Japan, but with more Japanese development force rallying behind the PlayStation 4 (as we’re learning from E3 2015) this may be something to note for this game. In any case, God Eater should be leaving the PlayStation Portable for good.